This weekend carries great significance for the Golden family. The first couple of weekends of October are always focused on decorating for Halloween. Because we are Jewish, we don’t decorate for Christmas and our Hanukkah decorations are somewhat sparse. Halloween is our big decorating holiday. It’s a very big holiday in our neighborhood and Barry feels passionately about decorating the house to the point of overkill. 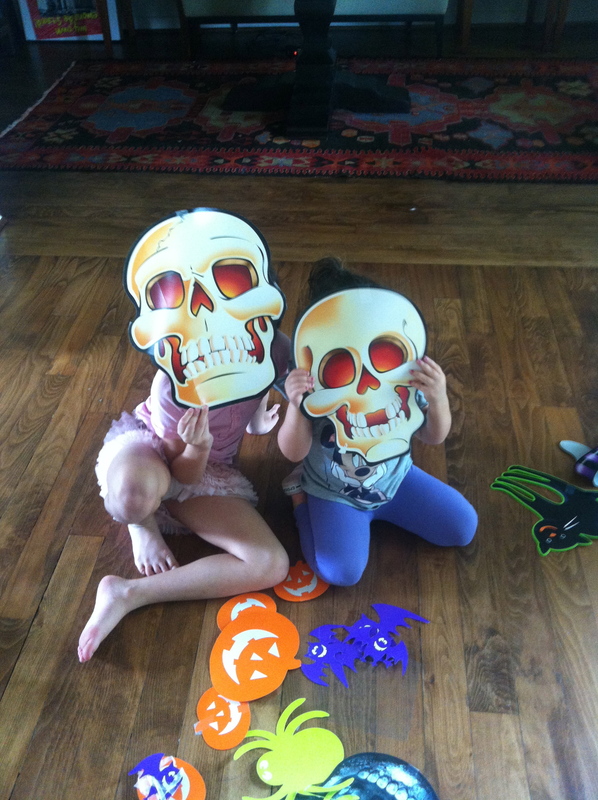 Each October, we pull out the boxes of Halloween decorations and costumes from years passed. This year, as we were sorting through the boxes, I realized that it was exactly 2 years ago when we submitted our application to ASDA. This was probably just a week or so after I had first learned of the existence of autism service dogs. I remember that this was the week we submitted our application because part of the application process required us to submit two videos. We had to take a video of our family at home and we had to have a video of Gray interacting with a dog or dogs. Stacking the decorations out in our dining room brought back the image of our video that I sent during our decoration process 2 years ago. It is incredible to think about how much things have changed since I made those videos. As I listen to the sound of my own voice narrating, I can remember how hopeful I was that a service dog would make a difference for Gray and our family. As time passed over the 15 months that we had to wait for Hope, I can say that my anticipation moved from unreasonably optimistic to completely skeptical and back again in a cycle that probably didn’t end until about 2 weeks after I brought Hope home from Portland. I often say that I wish I had a crystal ball so that I could just have a little glimpse of how things will turn out for Gray. Today, I wish I could be the vision in the crystal ball so I could go back and tell that 2-years-ago version of myself what to expect. I would tell her that things are going to first get a lot worse. I would tell her that there are going to be some scary moments with Gray’s mania and self-injurious behavior and running out into traffic and ruined family outings. I would tell her that she will have moments of feeling overwhelmed and unsure of how she will even make it through a day let alone her whole future. And then, I would tell her that it is going to get so much better. I would tell her that she made such a brave and smart decision in leaping head-first into the service dog decision. I would tell her that things are going to get so much better that she will be inspired to write about it so that other people can find out about this life-changing and game-changing possibility for their child. I know I will never have a crystal ball, but knowing that the story I would share with my younger self has such a happy ending gives me peace. I’m certain that there are tough times and decisions ahead, but I have learned to trust my instincts. For your viewing enjoyment: This first video is the family at home decorating for Halloween. Zoe is 7, Gray is 5 and Lena is 2. And, our day at the dog park. Gray is much more interested in the other people than the other dogs. You are the crystal ball for those families waiting for their service dog. Thank you for continuing to share your story!